We were at Eurobike last week – the new bike tally was huge and there were quite a lot of other interesting things there too. 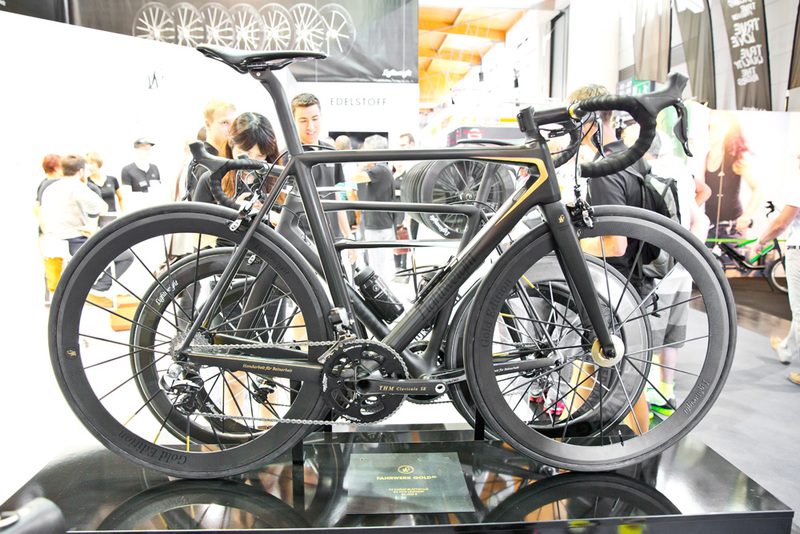 At Eurobike, manufacturers seemed to be vying to come up with the most expensive bike possible. Our prize went to the £18,000 Lightweight Urgestalt. Weighing 5.8kg it comes with 24 carat gold accents – and only 24 will be made. Moving a bit down the price range, there’s AX Lightness’s 4.4kg bike – a snip at just £11,000. 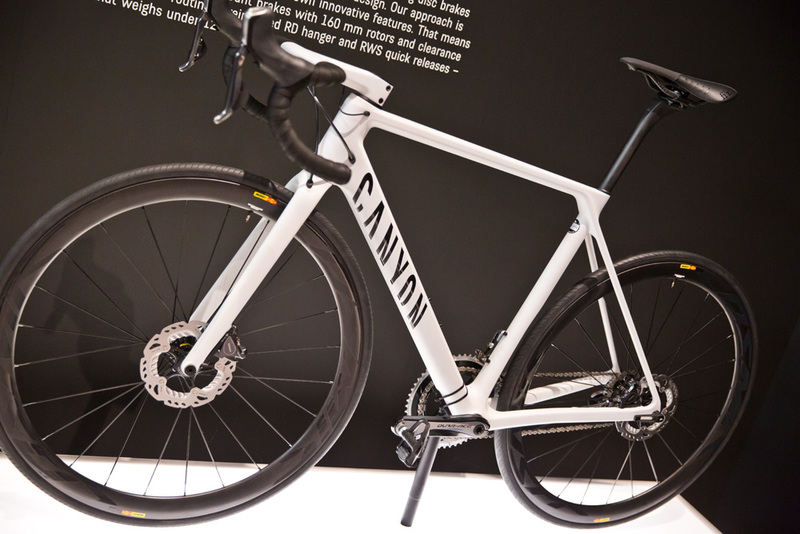 And Canyon has also gone lighter with its 4.85kg Ultimate CF Evo SL, another bargain basement offering at £9000. With disc brakes still making inroads, there were new bikes from Canyon and Cervelo proudly displaying their calipers. The Canyon Ultimate CF SLX Disc is a prototype and comes with flat mounts and thru axles, whilst the Cervelo R3 Disc is ready to roll and will be tested in races by MTN-Qhubeka. We also spotted the rather beautiful red De Rosa SK Pininfarina shown above. Expensive seemed to be the theme at Eurobike. 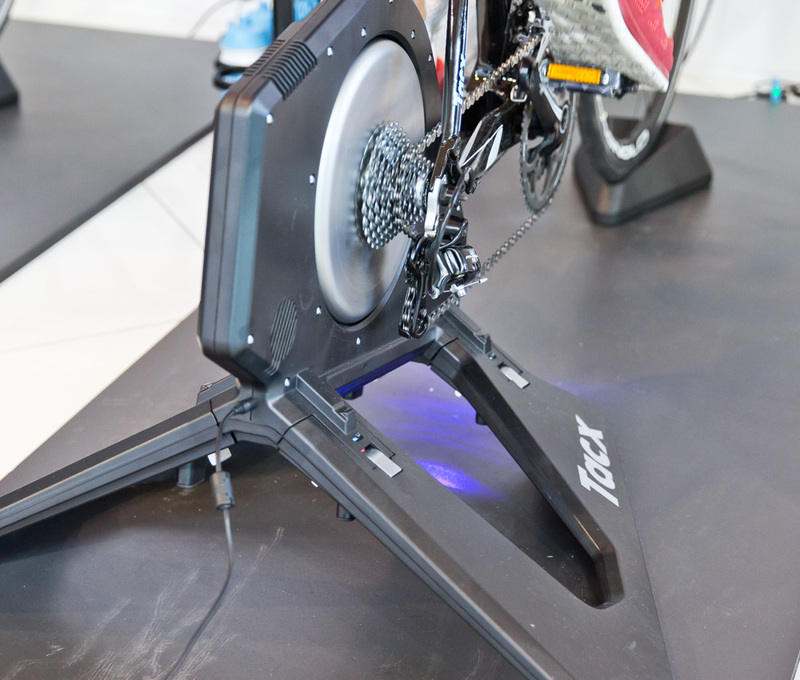 We found a £1,200 turbotrainer from Tacx. Billed as super-quiet and with its own virtual reality software it aims to recreate the out-on-the-road experience in the comfort of your garage. If you do venture out onto the road, you’ll want to know how you’re shaping up against your competitors, and Garmin has announced a software update which lets you see your performance on a Strava segment in real time. 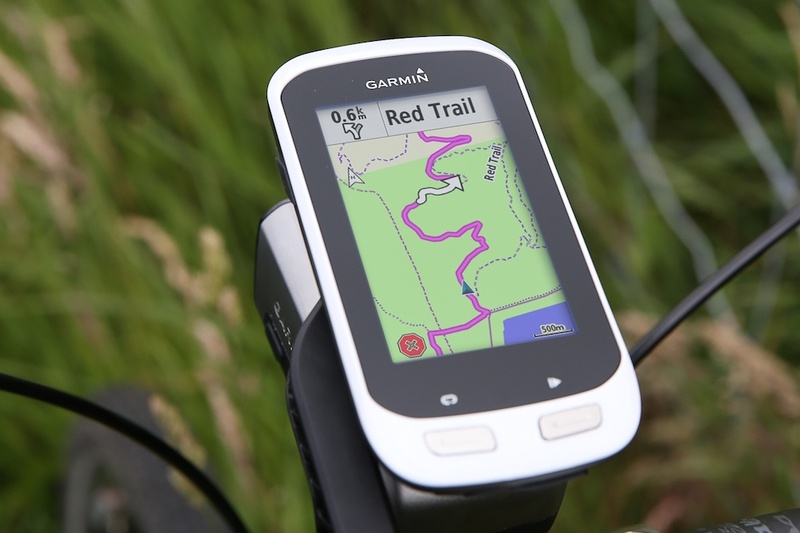 And Garmin has also released a new version of its Edge 1000. Called the Explore it includes cycling-specific maps, provides route options and integrates with Garmin’s Varia safety system. If your competition stretches to a real race, Quarq has announced a system to display riders’ performance data and location to remote viewers and broadcasters. 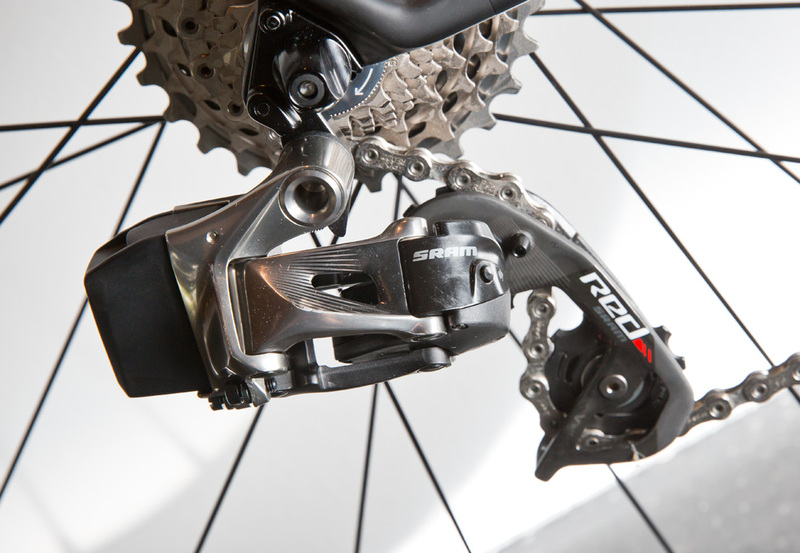 The other big news in components is Sram’s long-awaited announcement of its eTap wireless electronic groupset. Featuring innovative shifting as well as freeing your bike from wires and cables, it weighs 1775g, so it’s 137g lighter than Sram Red mechanical. It’s another expensive piece of kit at £2059 for the full groupset. As a cheaper option, we’ve got Shimano’s latest Tiagra 4700 in for test. Still ten speed, it now looks much more like its big brothers. We’ll see if its performance measures up too.